In a Nutshell: Buying a home can be a confusing and complicated process no matter how many times you’ve done it. Different lenders have different qualification standards and no one seems to know how much down payment is enough. Down Payment Resource has spent the last 10 years curating the nation’s first and largest database of down payment assistance programs that, on average, contribute between $8,000 and $10,000 to qualified homebuyers nationwide. Programs can be found through free searches on Down Payment Resource’s website, or by searching one of 14 Multiple Listing Services (MLS) for properties of all sizes and price points. Down Payment Resource also offers its e-book, “Top 10 Down Payment Program Myths Debunked,” as a free download. I recently met with a friend to watch a basketball game at a local sports bar. I have a bad habit of turning most conversations into finance talk, and soon enough he was telling me about his plans to purchase his first home. He’d spent the last year saving a portion of each paycheck he earned toward a down payment and hoped to have enough to begin shopping for a house within the next year to 18 months. I eventually realized he was like most first-time homebuyers — confused and in need of guidance through the jungle of difficult real-estate lingo and financial terms consumers face from the time they apply for a mortgage until they get the keys to their new home at closing. He thought he could only get a mortgage with a minimum 20% down payment — or at least that’s what multiple internet searches told him. In fact, millions of qualified buyers around the country often stand on the sidelines when they could be shopping for a home of their own. This is an issue that Tracey Shell, Vice President and Director of Marketing Communications at Down Payment Resource, sees regularly. 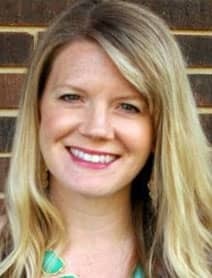 “A lot of people still think they need to save 20% of the purchase price for their down payment, and that just isn’t the case at all,” she said. 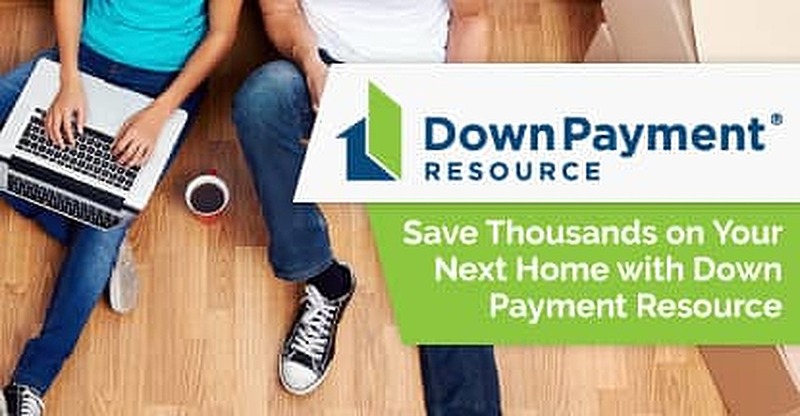 Down Payment Resource, founded in 2008, connects qualified prospective homebuyers to lenders and other real estate professionals through a national database of more than 2,500 programs that provide information on financial grants and assistance. Database searches are free on Down Payment Resource’s website, as well as through 14 different Multiple Listing Services (MLS) — where Down Payment Resource information is embedded into the listings. The database tracks everything from the eligibility requirements for specific programs to the different benefits and terms each program offers to homebuyers. The listings also recommend lending agencies certified to work with each program a consumer qualifies for. For many homebuyers, the savings they achieve can make the difference between buying now or renting for another year or longer. Shell noted that programs aren’t always based on income and in higher cost markets, the income limits are adjusted. Some employer-based programs and veteran programs may waive the income requirement and some areas around the country have revitalization projects underway that provide benefits to any eligible buyer in specified areas. “You could be leaving some serious money on the table just because you don’t ask your real estate agent or lender,” Shell said. 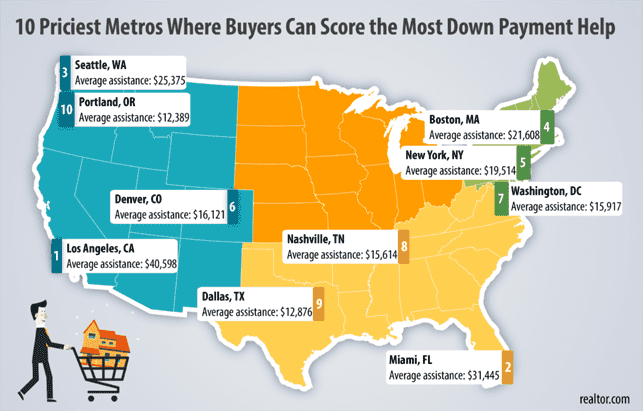 Most people confuse down payment assistance with grant money given to lower-income buyers in depressed areas. Shell said the programs Down Payment Resource promotes provide money for a host of expenses for buyers of all backgrounds and income levels. According to research conducted by Down Payment Resource, the average benefit to users is between $8,000 and $10,000 — a substantial amount of money for homebuyers with any fiscal background. Shell said many programs base the amount of assistance offered on the location of the home being purchased or the needs of the surrounding communities. Many down payment or closing cost assistance programs specifically target their aid to first-time homebuyers. While that remains the case with a majority of the programs Down Payment Resource tracks, many consumers don’t realize they may be a first-time homebuyer despite previous home purchases. Tracey Shell is Vice President and Director of Marketing Communications at Down Payment Resource. So anyone who has rented a home, or lived in a dwelling they did not own, for three years or longer could be eligible for benefits, regardless of their previous home-buying history. But even if you don’t qualify under those terms, several options still exist. Shell said program providers have seen people who lost their home during the financial crisis work to rebuild their credit as renters, and reap the benefits of a down payment assistance program as a first-time homebuyer. Down Payment Resource offers information on programs that can provide grants to pay closing costs or cover a portion of a down payment on a home purchase. To qualify, the purchased home must be an owner-occupant dwelling and not a rental or investment property. Prospective homeowners can find programs, which are free to apply to, through searches on the Down Payment Resource website or as part of the search results on 14 MLSs. Buyers should also ask lenders if they participate in any down payment programs. To help potential buyers get that much closer to closing on their new home, Down Payment Resource offers its e-book, “Top 10 Down Payment Program Myths Debunked,” as a free download. The book, which covers information that can help buyers make a more informed decision about their home loan, breaks down the top 10 most common myths about home financing and down payment programs. “The book is a great resource for anyone who is just starting out and isn’t sure about what down payment assistance programs are all about,” Shell said. That night at the sports bar, I shared the link to the book with my friend who’s saving up for the down payment for his first home. I expect he will become one the homebuyers Down Payment Resource helped pull off the sidelines and into their own home.